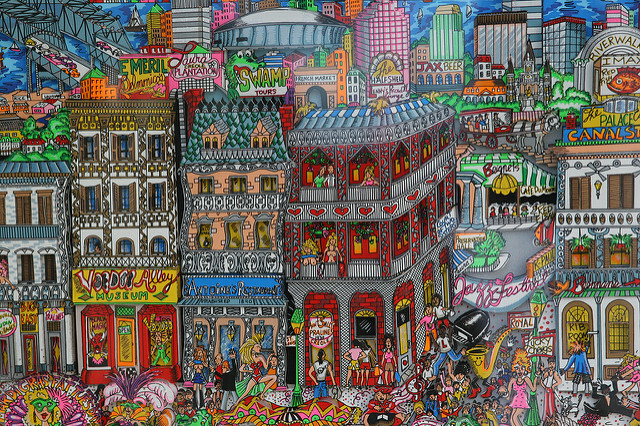 New Orleans is a cradle of artistry and bountiful creation. This fall, Prospect New Orleans Triennial Artists series will open up for its fourth artist showcase. This year’s theme is called “Prospect.4: The Lotus in Spite of the Swamp”, curated by Trevor Schoonmaker. Running from November 18 through February 25, 2018, 73 artists will present their interpretations on the legacy of colonialism and the effects of displacement. The citywide event will be shown throughout varying venues in NOLA. Popular spaces include the New Orleans Museum of Art, the Ogden Museum of Southern Art, and Crescent Park. This year’s theme is especially poignant because it takes inspiration from the Lotus plant, a Buddhist and Hindu symbol of spiritual enlightenment which often suggests that rough challenges can be overcome. The event highlights artistic interpretations of this theme to offer understanding and reflection on the hidden meaning and esoteric insights of social struggle in the past and present. The Lotus within the swamp also references the bayous, lakes, and wetlands that surround New Orleans. But the symbol also alludes unique cultural heritage and creative vision. Politically-charged jazz saxophonist Archie Shepp, who described jazz as part of the human spirit, compared the music to a lily that grows “in spite of the swamp”. This year’s event plans to effortlessly address the relationship between heritage, art, and socio-political struggles. As a Chief Curator of the Nasher Museum of Contemporary Art at Duke University in North Carolina, Schoonmaker chose the presenters with the help of seven artists that included William Cordova, Wangechi Mutu, Omar Lopez-Chahoud, Filipa Oliveira, Ebony G. Patterson, Zoe Whitley, and Miranda Lash. Participating artists will present a broad range of perspectives, but the presentations selected seek to capture the city of New Orleans in aesthetic, musical, culture, spirituality, and history. This event is also looking to connect various neighborhoods in NOLA. The city exhibition will increase the density and linkage between about twenty venues. Visitors can get a thorough glance of some of the city’s most historic and intriguing spots. Preliminary details mentioned that artists will create mediums ranging from abstract installations to short films. This fourth iteration aligns with New Orleans Triennial celebration, making it a hallmark event that encompasses the international artistry and diversity of this event. The celebration is a great way for audiences to explore the history, culture, and socio-political dynamics of the city. You can also donate to the Prospect Project and support local, contemporary artists on New Orleans!